Creating a niche of Cross Flow Cooling Tower such as FRP Cross Flow Type Cooling Tower and Cross Flow Cooling Towers at its best, with utmost quality. We hold expertise in manufacturing and supplying performance oriented Cross Flow Cooling Towers that are widely appreciated for high performance, chemical & corrosion resistance features. These are ideal to be used for applications that involve water cooling. Our range has the ability to offer service for a long period of time and gives the extreme performance. The complete range can be availed by our customers at market leading price. 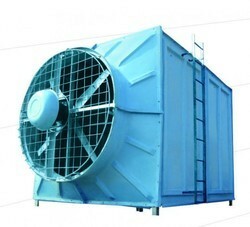 Double Flow Cooling Tower offered comes in quality construction finish and finds extensive use in different industrial areas. Featuring double-inlet combined-flow, these closed cooling towers provide for high cooling capacity as well as come with high corrosion resistant finish. Some of its features include provides for high working efficiency; offers superior savings on water; being developed using fiber-reinforced plastic, these cooling towers are light and more durable; available in different cooling capacities. We hold expertise in manufacturing and supplying performance orientedFRP Cross Flow Cooling Tower that is widely appreciated for high performance, chemical & corrosion resistance features. These are ideal to be used for applications that involve water cooling. 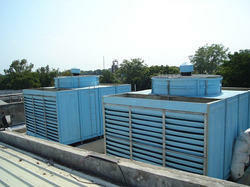 Our range has the ability to offer service for a long period of time and gives an extreme performance. The complete range can be availed by our customers at market leading price. 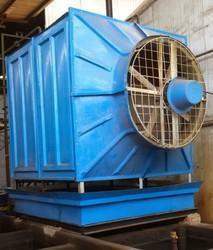 Looking for Cross Flow Cooling Tower ?